>550 for Hierarchical phosphorylation of the translation inhibitor 4E-BP1. Gingras AC, Raught B, Gygi SP, Niedzwiecka A, Miron M, Burley SK, Polakiewicz RD, Wyslouch-Cieszynska A, Aebersold R, Sonenberg N. Genes Dev. 2001 Nov 1;15(21):2852-64. >250 for Biophysical studies of eIF4E cap-binding protein: recognition of mRNA 5' cap structure and synthetic fragments of eIF4G and 4E-BP1 proteins. Niedzwiecka A, Marcotrigiano J, Stepinski J, Jankowska-Anyszka M, Wyslouch-Cieszynska A, Dadlez M, Gingras AC, Mak P, Darzynkiewicz E, Sonenberg N, Burley SK, Stolarski R. J Mol Biol. 2002 Jun 7;319(3):615-35. >120 for Novel "anti-reverse" cap analogs with superior translational properties. Jemielity J, Fowler T, Zuberek J, Stepinski J, Lewdorowicz M, Niedzwiecka A, Stolarski R, Darzynkiewicz E, Rhoads RE. RNA. 2003 Sep;9(9):1108-22. >80 for Phosphorylation of eIF4E attenuates its interaction with mRNA 5' cap analogs by electrostatic repulsion: intein-mediated protein ligation strategy to obtain phosphorylated protein. Zuberek J, Wyslouch-Cieszynska A, Niedzwiecka A, Dadlez M, Stepinski J, Augustyniak W, Gingras AC, Zhang Z, Burley SK, Sonenberg N, Stolarski R, Darzynkiewicz E. RNA. 2003 Jan;9(1):52-61. >50 for Positive heat capacity change upon specific binding of translation initiation factor eIF4E to mRNA 5' cap. Niedzwiecka A, Stepinski J, Darzynkiewicz E, Sonenberg N, Stolarski R. Biochemistry. 2002 Oct 8;41(40):12140-8. "Biophysical bases of interactions of mRNA 5’ cap analogues with a protein triad that regulates eukaryotic gene expression"
"Thermodynamic analysis of interaction of eIF4E protein with mRNA 5’ cap structure and 4E-BP1 or eIF4G protein fragments"
"Studies of tautomerism and conformation of N4-hydoxy derivatives of methylated cytosine analogs by means of molecular spectroscopy"
•	Agnieszka Stelmachowska, M.Sc. Ing. 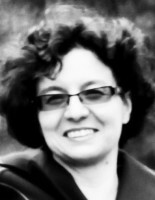 •	Sylwia Cieślak, M.Sc. Ing. Kocmik I, Piecyk K, Rudzinska M, Niedzwiecka A, Darzynkiewicz E, Grzela R, Jankowska-Anyszka M. Modified ARCA analogs providing enhanced translational properties of capped mRNAs. Cell Cycle 2018; 17(13): 1624-1636. Cieplak-Rotowska MK, Tarnowski K, Rubin M, Fabian MR, Sonenberg N, Dadlez M, Niedzwiecka A. Structural dynamics of the GW182 silencing domain including its RNA recognition motif (RRM) revealed by hydrogen-deuterium exchange mass spectrometry. Journal of The American Society for Mass Spectrometry 2018; 29(1): 158–173. Niedzwiecka A, Nilsson P, Worch R, Stepinski J, Darzynkiewicz E, Virtanen A. Molecular recognition of mRNA 5’ Cap by 3’ poly(A)-specific ribonuclease (PARN) differs from interactions known for other cap-binding proteins. Biochimica et Biophysica Acta 2016; 1864: 331–345. Piecyk K, Niedzwiecka A, Ferenc-Mrozek A, Lukaszewicz M, Darzynkiewicz E, Jankowska-Anyszka M. How to find the optimal partner--studies of snurportin 1 interactions with U snRNA 5' TMG-cap analogues containing modified 2-amino group of 7-methylguanosine. Bioorg Med Chem. 2015; 23(15): 4660-8. Zytek M, Kowalska J, Lukaszewicz M, Wojtczak BA, Zuberek J, Ferenc-Mrozek A, Darzynkiewicz E, Niedzwiecka A, Jemielity J. Towards novel efficient and stable nuclear import signals: synthesis and properties of trimethylguanosine cap analogs modified within the 5',5'-triphosphate bridge. Org Biomol Chem. 2014; 12(45): 9184-99. Modrak-Wojcik A, Gorka M, Niedzwiecka K, Zdanowski K, Zuberek J, Niedzwiecka A, Stolarski R. Eukaryotic translation initiation is controlled by cooperativity effects within ternary complexes of 4E-BP1, eIF4E, and the mRNA 5' cap. FEBS Lett. 2013 Dec 11; 587(24): 3928-34. Liu W, Jankowska-Anyszka M, Piecyk K, Dickson L, Wallace A, Niedzwiecka A, Stepinski J, Stolarski R, Darzynkiewicz E, Kieft J, Zhao R, Jones DN, Davis RE. Structural basis for nematode eIF4E binding an m(2,2,7)G-Cap and its implications for translation initiation. Nucleic Acids Res. 2011 Nov 1; 39(20): 8820-32. Niedzwiecka A, Lekka M, Nilsson P, Virtanen A. Global architecture of human poly(A)-specific ribonuclease by atomic force microscopy in liquid and dynamic light scattering. Biophys Chem. 2011 Oct; 158(2-3): 141-9. Kiraga-Motoszko K, Niedzwiecka A, Modrak-Wojcik A, Stepinski J, Darzynkiewicz E, Stolarski R. Thermodynamics of molecular recognition of mRNA 5' cap by yeast eukaryotic initiation factor 4E. J Phys Chem B. 2011 Jul 14; 115(27): 8746-54. Liu W, Zhao R, McFarland C, Kieft J, Niedzwiecka A, Jankowska-Anyszka M, Stepinski J, Darzynkiewicz E, Jones DN, Davis RE. Structural insights into parasite eIF4E binding specificity for m7G and m2,2,7G mRNA caps. J Biol Chem. 2009 Nov 6; 284(45): 31336-49. Wu M, Nilsson P, Henriksson N, Niedzwiecka A, Lim MK, Cheng Z, Kokkoris K, Virtanen A, Song H. Structural basis of m(7)GpppG binding to poly(A)-specific ribonuclease. Structure. 2009 Feb 13; 17(2): 276-86. Worch R, Jankowska-Anyszka M, Niedzwiecka A, Stepinski J, Mazza C, Darzynkiewicz E, Cusack S, Stolarski R. Diverse role of three tyrosines in binding of the RNA 5' cap to the human nuclear cap binding complex. J Mol Biol. 2009 Jan 16; 385(2): 618-27. Rutkowska-Wlodarczyk I, Stepinski J, Dadlez M, Darzynkiewicz E, Stolarski R, Niedzwiecka A. Structural changes of eIF4E upon binding to the mRNA 5' monomethylguanosine and trimethylguanosine Cap. Biochemistry. 2008 Mar 4; 47(9): 2710-20. Niedzwiecka A, Stepinski J, Antosiewicz JM, Darzynkiewicz E, Stolarski R. Biophysical approach to studies of cap-eIF4E interaction by synthetic cap analogs. Methods Enzymol. 2007; 430: 209-45. Nilsson P, Henriksson N, Niedzwiecka A, Balatsos NA, Kokkoris K, Eriksson J, Virtanen A. A multifunctional RNA recognition motif in poly(A)-specific ribonuclease with cap and poly(A) binding properties. J Biol Chem. 2007 Nov 9; 282(45): 32902-11. Worch R, Niedzwiecka A, Stepinski J, Mazza C, Jankowska-Anyszka M, Darzynkiewicz E, Cusack S, Stolarski R. Specificity of recognition of mRNA 5' cap by human nuclear cap-binding complex. RNA. 2005 Sep; 11(9): 1355-63. Niedzwiecka A, Darzynkiewicz E, Stolarski R. Thermodynamics of mRNA 5' cap binding by eukaryotic translation initiation factor eIF4E. Biochemistry. 2004 Oct 26; 43(42): 13305-17. Jemielity J, Fowler T, Zuberek J, Stepinski J, Lewdorowicz M, Niedzwiecka A, Stolarski R, Darzynkiewicz E, Rhoads RE. Novel "anti-reverse" cap analogs with superior translational properties. RNA. 2003 Sep; 9(9): 1108-22. Niedzwiecka A, Stepinski J, Darzynkiewicz E, Sonenberg N, Stolarski R. Positive heat capacity change upon specific binding of translation initiation factor eIF4E to mRNA 5' cap. Biochemistry. 2002 Oct 8; 41(40): 12140-8. Niedzwiecka A, Marcotrigiano J, Stepinski J, Jankowska-Anyszka M, Wyslouch-Cieszynska A, Dadlez M, Gingras AC, Mak P, Darzynkiewicz E, Sonenberg N, Burley SK, Stolarski R. Biophysical studies of eIF4E cap-binding protein: recognition of mRNA 5' cap structure and synthetic fragments of eIF4G and 4E-BP1 proteins. J Mol Biol. 2002 Jun 7; 319(3): 615-35. Gingras AC, Raught B, Gygi SP, Niedzwiecka A, Miron M, Burley SK, Polakiewicz RD, Wyslouch-Cieszynska A, Aebersold R, Sonenberg N. Hierarchical phosphorylation of the translation inhibitor 4E-BP1. Genes Dev. 2001 Nov 1; 15(21): 2852-64. Błachut-Okrasińska E, Bojarska E, Niedźwiecka A, Chlebicka L, Darzynkiewicz E, Stolarski R, St piński J, Antosiewicz JM. Stopped-flow and Brownian dynamics studies of electrostatic effects in the kinetics of binding of 7-methyl-GpppG to the protein eIF4E. Eur Biophys J. 2000; 29(7): 487-98. Wieczorek Z, Niedźwiecka-Kornaś A, Chlebicka L, Jankowska M, Kiraga K, Stepiński J, Dadlez M, Drabent R, Darzynkiewicz E, Stolarski R. Fluorescence studies on association of human translation initiation factor eIF4E with mRNA cap-analogues. Z Naturforsch C. 1999 Mar-Apr; 54(3-4): 278-84. Niedźwiecka-Kornaś A, Kierdaszuk B, Stolarski R, Shugar D. Tautomerism, acid-base properties and conformation of methylated analogues of the promutagenic N4-hydroxycytosine. Biophys Chem. 1998 Apr 20; 71(2-3): 87-98.